The following is a multi-post “how to” series on setting up a digital resume like this one. You can read Part 1 here or you can read the entire article here. The first step in setting up any website that supports your digital reputation branding strategy, including a digital website dedicated to your resume, is picking and registering a domain name. I highly recommend Go Daddy for domain name registration. Go Daddy is a rock solid vendor (not all in the web game are) and their administrative interface is pretty intuitive. Most importantly, they have excellent – and patient – support staff. 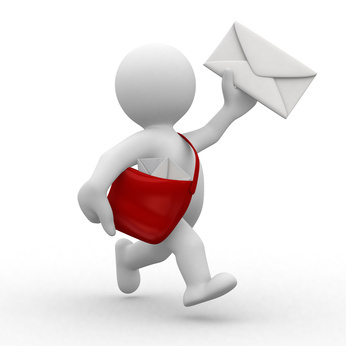 I also recommend that you set up your email accounts with Go Daddy or Google Apps for Business. For any attorney embarking on a campaign to build and grow a professional reputation on the web, you must, must, must register your professional name as a dot com domain name. Why? At a minimum, you need it under your control for future use. Optimally, you will start using the name now to initiate the “seasoning” process that we discussed in Part 1 of this series. If your digital resume is the first site you’re putting up in your digital empire, use your professional name domain for this project. Later, you can condense the resume portion down to one “about” page and start adding more reputation-building content to the site. I own www.tracythrowerconyers.com and am currently using it for my resume site. I also own www.tracytc.com, which I use for more casual projects (a personal blog). What if your personal name isn’t available to register? Google your name and find out who else is using your same name and what they are doing with it. If you have a common name or somebody else coincidentally happens to have your same name, you’re going to have to take extra steps to set yourself apart on the web so your intended audience doesn’t confuse you with that “other” person in search engine queries. If you’re already using your professional name yourself for another web project, register your name with “digital resume” added. This domain name will display favorably in the search engines when people search for your name and want to see your professional qualifications. As alternative domain names, consider something with “esq” or “attorney” on the end. You definitely want the .com version of your chosen name and you want the name to make sense to your audience. Skip the .net’s and .info’s and, for the most part, skip the cutesy new .me’s and other similar vanity extensions. 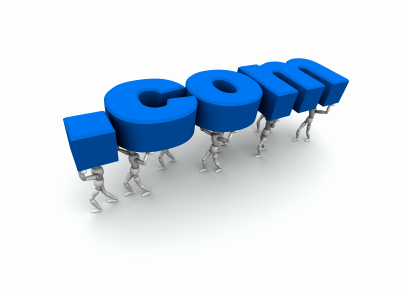 Dot com is still the web standard and the web address that most visitors expect to see. Contact me, if you want help choosing an alternative name. Do not choose personal nicknames as part of your domain name, if your professional audience doesn’t know you by that nickname. Conversely, don’t use a formal name, if your audience only knows your by your nickname and you don’t intend to “re-brand” yourself to that formal name. Once you register your domain name, set up an email address that is firstname@yourdomainname.com. This is going to be your professional networking and reputation building email of choice, and you’ll look way more pulled together than the gmail attorneys out there (don’t even get me started on the Yahoo! and Hotmail attorneys). Again, the support team at Go Daddy is very helpful and can help you set up your email address. It’s a little more complicated when you are keeping email with Go Daddy and pointing the domain name to another host, which is what I’m going to recommend later in this series of posts, so get the support team at Go Daddy involved. Up next, choosing a host for your digital resume website in Digital Resumes For Lawyers — The “How To” Part 3. Some of the links in this post are affiliate links and some are not. All recommendations are for resources that I use and proudly recommend.